The biggest problem with horror in VR is the budget roots many of the titles released tend to have. For every Resident Evil we get a lot of supposedly scary titles that just pale in comparison, mostly due to a lack of realistic visuals or foreign developers who just don’t quite get what scares many of us. Exorcist Legion endeavours to be in the higher quality of Horror titles with very realistic visuals and a loose tie in to one of the best horror films of all time. This is an episodic tale with you playing the role of a detective who gets involved with the murder of a priest and moments after you arrive at the crime scene, strange happenings begin to occur. Surprise, surprise…your first case takes place in a church. While there is a lot of interaction with the items scattered around each of the 3 stages currently available, Legion is, for all intents, a walking simulator. With 2 Move controls, the face buttons are used to turn left, right, forward and backward and while the pace you walk is intentionally slow, it works just fine. No matter which chapter you play, you always start off in a room with a white-board breaking down the controls. From here you exit to your office where you can pick an assortment of items scattered around and read up on some tidbits of info that may pertain to your investigation. A menu is available on your left hand that gives you access to a cell phone, which contains all the games options, a notepad and a book containing some holy items. 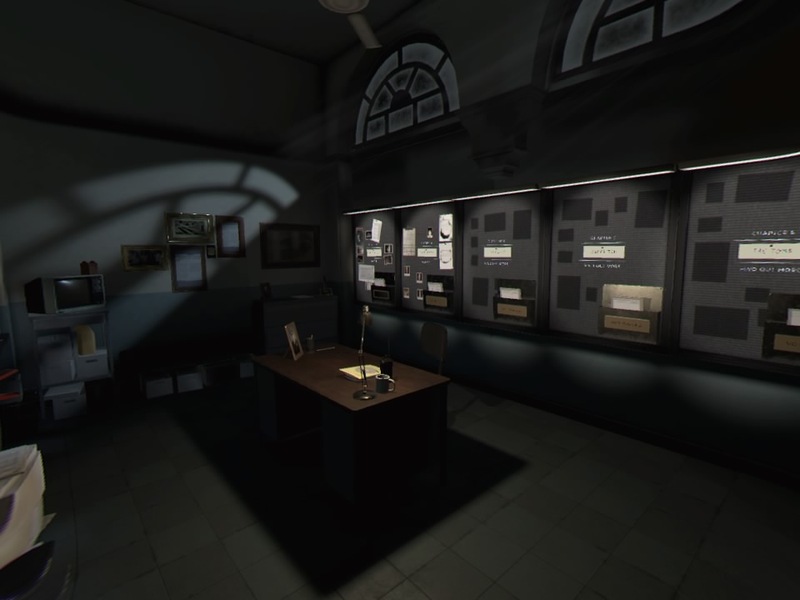 You’ll need the holy items during a few moments in the campaign to ward off some evil hallucinations and spirits while the notepad is automatically filled in as you find documents pertaining to the investigation. Otherwise you basically just walk around relatively contained environments, looking for clues and triggering some top-quality jump scares. The presentation in Exorcist Legion is the shining point in this episodic story. The visual here are some of the best available for PlayStation VR and are a delight to take in. Whether it be the church, hospital or house, each of the stages feels real and are littered with items and debris that add their authenticity. 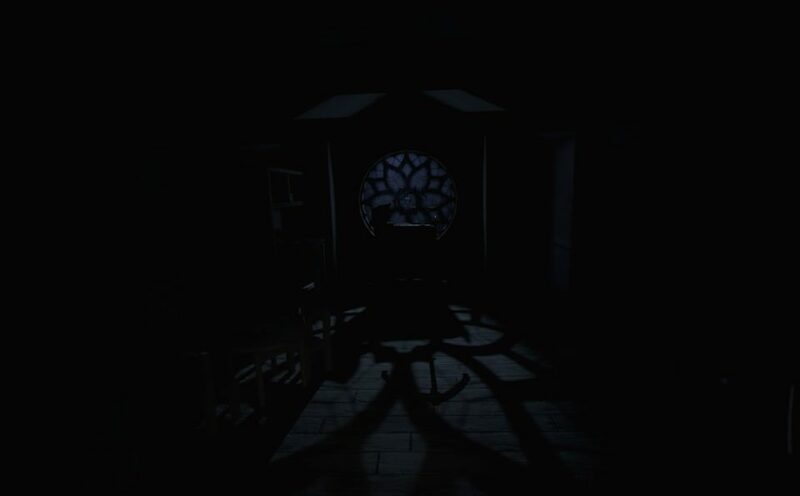 The stages are typically very dark and designed to be used with what has to be the worst flash-light ever made, but it just adds to the spookiness when the paranormal stuff starts to happen. Lighting effects are amazing and the attention to detail on every item is well worth mentioning. I picked up a piece of paper and moved into some darker lighting and noticed the texture of the paper become apparent…it’s that attention to detail that really immerses you in each stage. I had issues reading some of the documents as no matter how close or far away from my headset I moved the paper, I couldn’t quite make out the words and though it might break immersion a bit, an optional text reading option feels needed. Creepiest place to keep a crib…EVER!!! Like the graphics, the audio is also on point making the entirety of the experience feel very cinematic. Headphones are an absolute must here as the 3D audio is utilized in full effect whether it be listening to an audio tape, intercom or who (or what) ever else is talking to you. 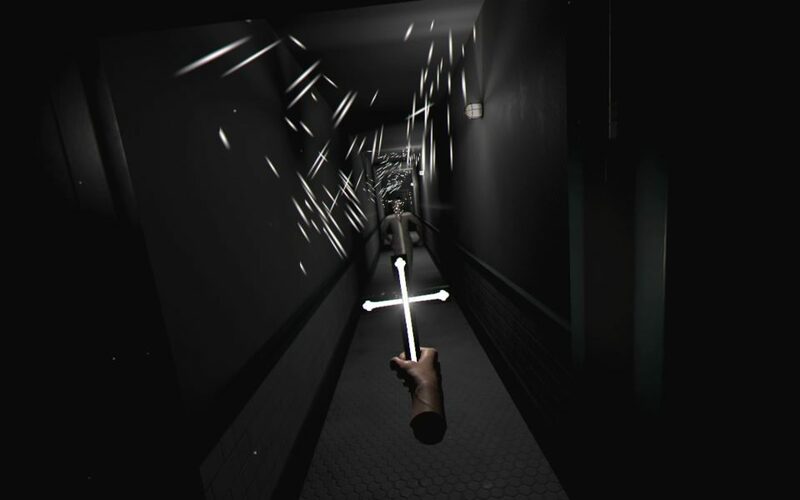 The sounds of moving furniture and opening doors is handled nicely, and host of other ambient effects keep will keep you constantly on edge…provided you like jump scares. 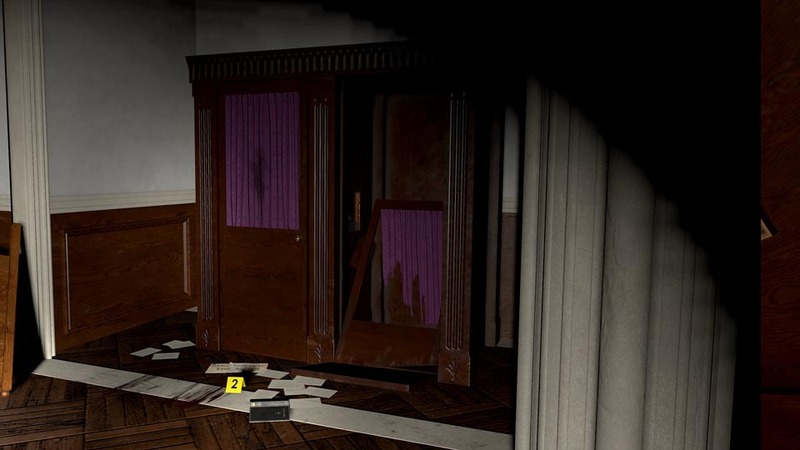 There are a few tiny gaming elements in the game, but for the most part you are walking around, investigating your surroundings and triggering horrific events. I don’t want to spoil anything to much here but there are a few moments that require you to act in a certain way and if you don’t perform that action quick enough, the game just resets that scenario to let you try again. There are a set amount of clues you can discover in each chapter and once you complete that episode, a bulletin board in your office displays everything you have found and if you see any gaps, you missed something and will have to replay that chapter to find all the pieces to the puzzle and the short length of each chapter lends itself well for those who want to complete the whole mystery. Your office/hub area in between chapters. How short is each chapter? Well of the 3 currently available, each shouldn’t take you more than 25 minutes or so to complete which does feel a tad light. While you can replay each chapter, nothing changes between each play other then finding or discovering those hidden and missing items. 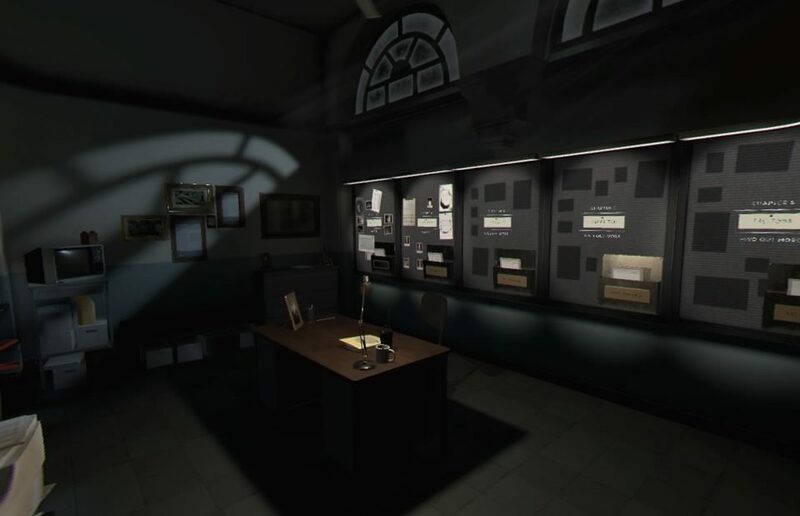 Each setting feels very real, but they are also very small with only a few rooms to explore creating a very contained experience that relies heavily upon jump scares. If jump scares don’t really do much for you, then you will be left wanting here. You can’t die, and I often find in horror games where you can’t get hurt that the scares lose much of their scary element. Knowing nothing can actually hurt me removed much of that intensity from the situation, but like I said, this still has some phenomenal scares and unnerving atmosphere that I’m sure will appeal to many a horror junky. It’s just less of a game and more of an experience so if you go in with that mindset, you’ll probably enjoy this. The largest issue plaguing the PSVR version of this game is the non-optional blinders which not only restrict your vision, but actually make edges darker making an already dark game near impossible to see at times. It boggles my mind that the devs decided to not make blinders optional as they d0 hamper the entirety of the experience. I also had huge issues picking items off the ground and while some items will reset their position back to your inventory, most environmental ones don’t so if you drop something you were looking at, it’s more than likely going to be a pain to pick it up. Exorcist Legion has taken the road of quality over quantity when it comes to presentation vs content and I feel like the short length of each chapter may turn off a few people from picking this up. With that said, the audio and visuals are some of the best available for the headset and each chapter does feel as if it were ripped from a movie in the series. If you love creepy atmosphere, unnerving situations and jump scares then I think you’ll love what Exorcist Legion has given us so far. What would I pay? Well now it get’s tricky. It’s $30 for all the episodes that you could potentially wrap in an hour and a half which is on the lighter side when compared to similar titles. With that said, I feel the need to support these smaller games shooting for AAA presentation…especially when they look this good. Assuming the last 2 chapters stay in line with the first 3, I’m alright with the asking price but if you are on the fence, you can pick up the 1st chapter for $7 and see if the game is to your horror liking.